« Where does Portis’ future with the Skins stand? Could the Skins make a move to try and land WR Austin Miles? 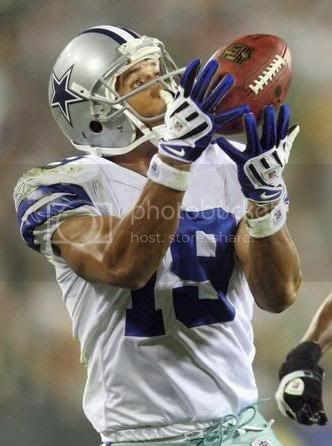 Cowboys wide out Miles Austin still does not have a new deal, and while free agency approaches, there’s an interesting piece today on National Football Post which talks about the Cowboys rival – the Redskins, trying to swoop in and take Austin away, which would not only help Washington but would really hurt the Cowboys. The Dallas Cowboys have made it clear that they have no intentions of losing wide receiver Miles Austin but whether or not they succeed in this mission is entirely up to them. With just three days until the start of free agency, the team has yet to reach an agreement with the restricted free agent wideout on a long-term deal, in addition, Cowboys owner Jerry Jones said that the organization will not place the franchise tag on Austin this offseason. Doing so would require the team to pay Austin a one-year salary of $9.521 million ,the expected course of action for the Dallas front office will be to place the highest restricted free agent tender possible on Austin, giving him a $3.168 million salary in 2010, enter Redskins owner and NFC East rival Daniel Snyder, we all know Snyder isn’t shy about spending cash, in addition, the Redskins have a pressing need at wide receiver. If you’re in the corner and have no cash to get out from that point, you would need to take the business loans. Because that will help you for sure. I take student loan every year and feel OK because of that.